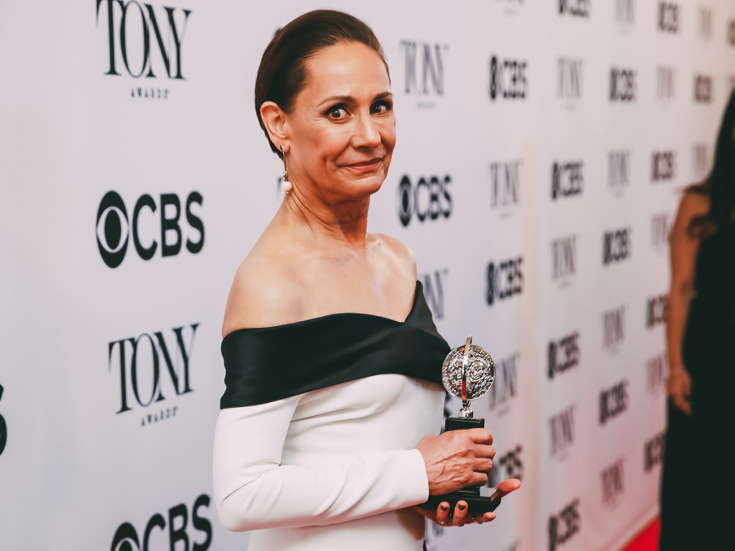 Three Tall Women star Laurie Metcalf might be wrapping up her latest Tony-winning performance this weekend, but you can continue to experience her unmatched talent on the small screen. ABC has just greenlit The Conners, a spinoff to the recently canceled Roseanne reboot, according to Deadline. Metcalf will be joined by Roseanne co-stars John Goodman, Sara Gilbert, Lecy Goranson and Michael Fishman for the series. The original Roseanne, which began in 1988, earned future two-time Tony winner Metcalf three Emmys for her turn as Jackie Harris. Stage veteran Austin Pendleton, a Tony nominee who will return to Broadway later this year in Choir Boy, has been announced to adapt, direct and star in the new Shakespeare-inspired work War of the Roses: Henry VI & Richard III. Pendleton will play Henry VI in the production that will begin previews at off-Broadway's 124 Bank Street Theatre on August 1 with an opening scheduled for August 4. Matt de Rogatis (Lone Star) will appear alongside Pendleton as Richard III. War of the Roses: Henry VI & Richard III is scheduled to play a limited engagement through August 19. Ghostlight Records has announced the release of How We React and How We Recover, a new album from three-time Tony winner Jason Robert Brown (The Bridges of Madison County, Parade). His first solo recording in over a decade is described as a rumination on love, family and music, partly a response to our fraught political climate, part portrait of an evolving contemporary artist. The album will be available in digital and streaming formats on June 29, with a physical CD planned for later this year. The release will coincide with New York City Center's Encores! Off-Center production of Brown's landmark New York debut show Songs for a New World, which runs from June 27-30.